*Dirty Roses is not liable for any of the content of the advert. *The seller is solely responsible for the accuracy for the detailing & accuracy of the item description including the conditions. The seller is also responsible for any dispute between themselves & the buyer. *The seller will keep Dirty Roses informed of any changes they wish to make to their advert including price, email, description. *Dirty Roses Bridal has the right to refuse an advert should they wish. ​* The buyer/seller has agreed to the terms above. 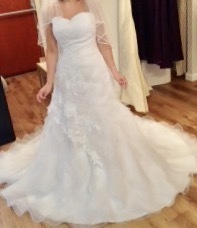 A Brand New Gino Cerruti Wedding Gown. The colour of this dress is Ivory. This gown is just divine covered in lace, illusion lace neck line, with a sweetheart fitted bodice, a corset back to show your womanly figure , finished with a crystal satin belt. I paid £850 for this gown. I would like £550 ono. 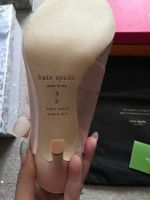 Stunning Satin Kate Spade shoes. They are a rose Petal pink. Comes complete with the box and a dust bag. Perfect shoes for your wedding or as a guest. These have never been worn, only tried on indoors. I would like £120 Ono. 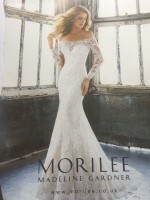 Mikaella Wedding Gown, Size 20, Ivory Lace. 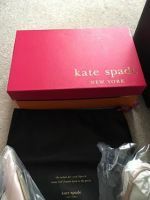 In excellent condition, worn once and has been dry cleaned and boxed straight after my wedding. Added sash onto dress with detail. Paid £1200 I would like £850 ono. never worn and have receipt still. Fell in love with another dress. Paid £618.30 would like £400. Welcome to try on, collection tilgate, Crawley . Pet and smoke free home. 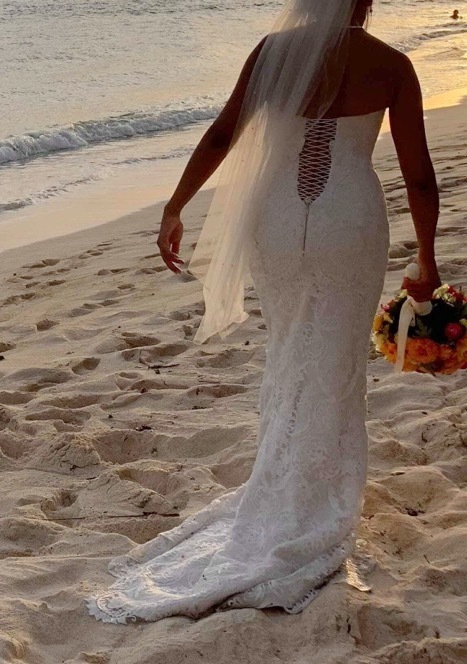 It is a traditional custom made size 18-20 with swarovski crystals at the front , it can also be made smaller as its laced at the back..
Also selling underskirt and veil with it. I Originally paid 1000 pounds for the dress looking to get at least 500 but I will accept offers. A beautiful fit & flare gown with a pleated bodice & ruffled skirt. It’s brand new never been worn or altered. I paid £500, would like £400. This gown is full of sparkles & magic. A stunning fit & flare gown in a size 10 Uk. Kenneth Winston is the designer. this colouring helps you look glowing on your wedding. I paid over £1200 for this gown. I would like £600 ONO. 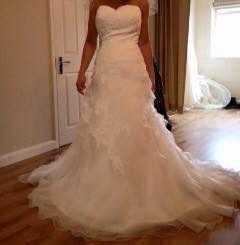 I am selling my brand new unworn and unaltered Jasmine Couture wedding dress which is a size 8. 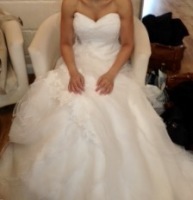 This was purchased from white dresses and tiaras in Crawley for over £1000. It has been stored in the protective bag and is available to view/ try on before purchase. Worn by 14/12 sized lady - 5'4"
It's a size 12 Alan Hannah. 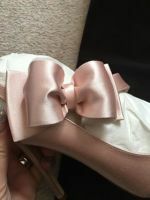 It is apricot/light pink colour and like a satin material. It is shorter at the front with a short trail at the back. It is in perfect condition, just a bit of mud on the bottom as expected, but I will have it dry cleaned before collection. I was hoping for £300 for it, I paid £500. (although the fit is generous). with short sleeves and full length lined trumpet skirt with train. Made by a Turkish designer, this size 8-10 slim fit ivory one of a kind dress is being sold for £500. It has a sweet heart neckline with lace detailing all over the dress and a beautiful open back corset. Collection from Crawley Down, more than welcome to come and try on and it is also from a pet and smoke free home. I have not yet had the dress dry cleaned. A Benjamin Roberts sample statement A-line gown with modern beaded bodice, illusion straps, open back and full tulle skirt. Excellent Condition just needs dry cleaning for your day and couple of rear beads need stitching / replacing as they have come loose. 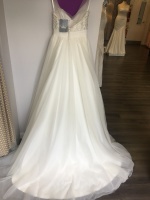 Never been worn outside of boutique and has been kept in the bridal dress bag since purchase still with tags on. Collection ONLY from Crawley, payment via Paypal or Cash on collection.